Sky may be forced to share its premium TV channels | What Hi-Fi? Ofcom has suggested BSkyB should be forced to make its premium channels available to rival broadcasters. In its latest investigation of the pay-TV market, the regulator outlined plans to examine the terms of Sky's rights agreement with the Premier League. And it also warned that it could refer Sky's deals for movie rights with Hollywood studios to the Competition Commission. But BSkyB has immediately rejected the proposal, saying it will use "all available legal avenues", and that it "fundamentally disagrees" with Ofcom. "Ofcom is proposing an unprecedented level of interference in commercial markets," says Sky's chief executive Jeremy Darroch. "Forcing Sky to sell its channels for less than their true value is a subsidy for companies that have shown no appetite for investment in programmes." "BT and Virgin Media do not deserve to be handed a reward at Sky's expense for their repeated failure to invest," adds Darroch. 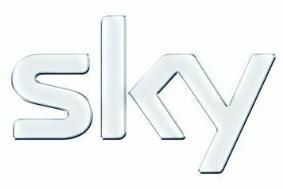 "It defies belief that Ofcom expects Sky to lower its wholesale prices to compensate for the higher costs of less efficient platforms." However, Ofcom says such a move may be the "most appropriate way of ensuring fair and effective competition". It has asked interested parties to respond to the proposals by August 18th. Ofcom has suggested dropping the wholesale cost of buying Sky Sports 1 or Sky Sports 2 from £13.48 to between £9.41 and £11.24. A bundle of Sky Sports 1 and 2 and the movie channels – which now costs Virgin £23.40 per subscriber to buy wholesale from Sky – would cost between £16.98 and £20.43, a saving of 27 per cent.